Karela United FC owner and CEO David Cobbina Siagha Brigidi, who passed away about a month ago, will be laid to rest next month in Bayelsa State, Nigeria. The final burial and funeral service is set for 11th to 14th December, 2018. The ex-lawyer served as a senator of the Bayelsa state from 1999 to 2007. He was 56. 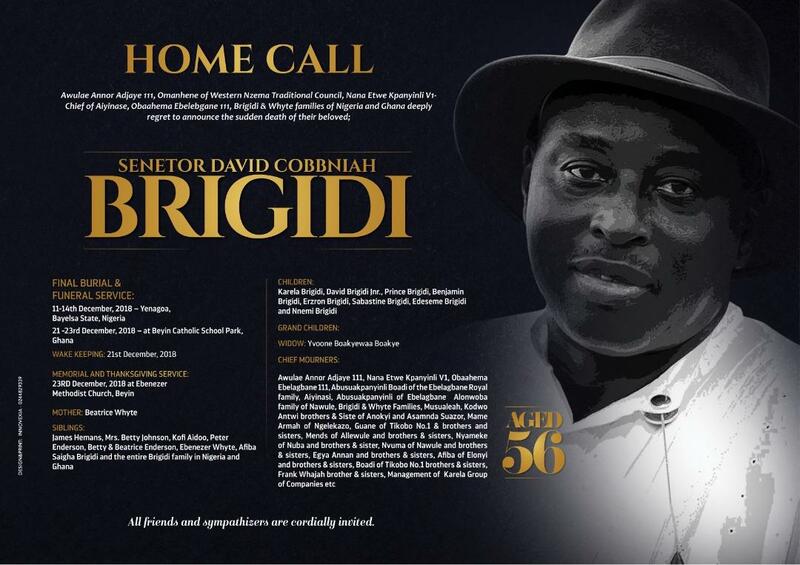 Brigidi died in London where he was battling an ailment. A funeral service will also be held in Ghana and at his residence in Beyin in the Nzema land of the Western region between 21st and 23rd December, 2018. Multitudes of former players and current players along with football fans will throng to the Beyin to pay their last respects of testimony of his good character.